Shahi Rasmalai is a traditional Indian sweet, or it is paneer (Cottage Cheese) dumplings soaked in sweetened thickened milk flavored with saffron and layers of Malai. Rasmalai is a royal dessert often served in weddings and eaten on special occasions. There are two parts to make Rasmalai, one the rasmalai balls that are Rasgulla and second is the thickened milk that is Rabdi. So now that we know what rasmalai is let’s see how can make them perfectly at home, soft and in fact melt in the mouth. Turn on flame and place a heavy bottom pan, heat it and add milk and let boil milk. Once milk boiled add lemon juice and stir till milk curdles completely, turn off the flame, drain the curdled milk and squeeze off excess water. 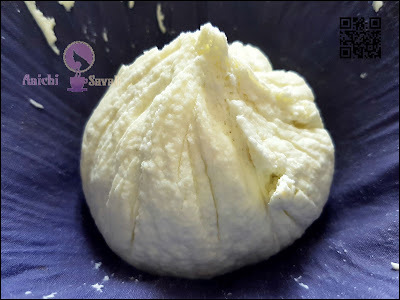 Now, start to knead the paneer for 10 minutes, furthermore, make small balls and flatten it and keep aside. Turn on flame and place a pan and add sugar and water, boil the syrup for 10 minutes. 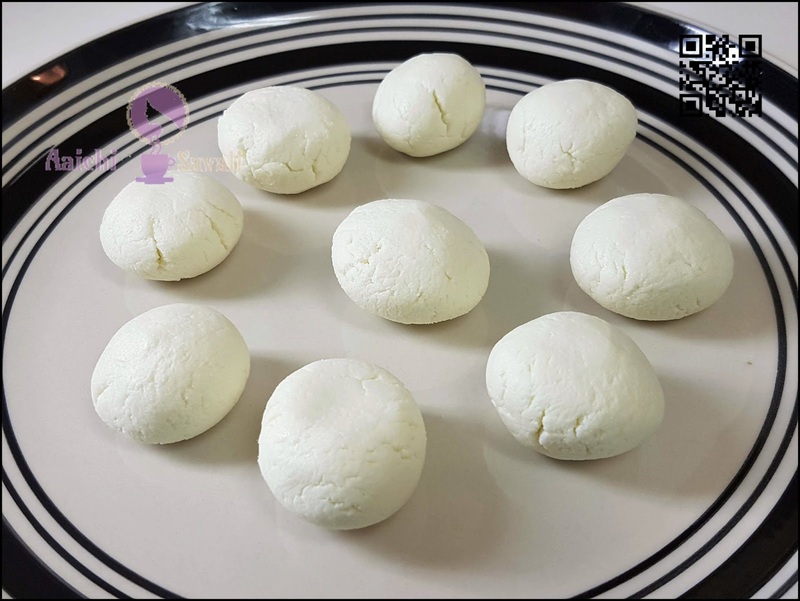 Drop the prepared paneer balls into sugar syrup and cover and boil for 10 minutes and let it cool and squeeze of sugar syrup from Rasgulla. Turn on flame and in a heavy bottom pan add 4 cups of milk. Boil the milk over medium to high flame till milk boil, as milk comes to boil reduce the flame to low medium. Move the layer of foaming from boiling milk towards the rim, do the same as milk foams again. Keep doing this until milk is about ⅓ in volume. After about 20 minutes add sliced almonds, pistachios, cashews and saffron milk and mix all well. Now, add sugar 2 tbsp, continue to stir and boil, until it is ⅓ in volume. Turn of the flame, remove the cream from the rim and fold it into milk and refrigerate for 2-3 hours. Here, layers of Malai, sweet and delicious Shahi Rabri is ready to serve, it taste best when it is served chilled. In a bowl firstly, pour the chilled Rabdi over the squeezed paneer balls. Finally, garnish Rabdi with chopped cashews, almonds and pistachios and allow to absorb for 1 to 2 hours. 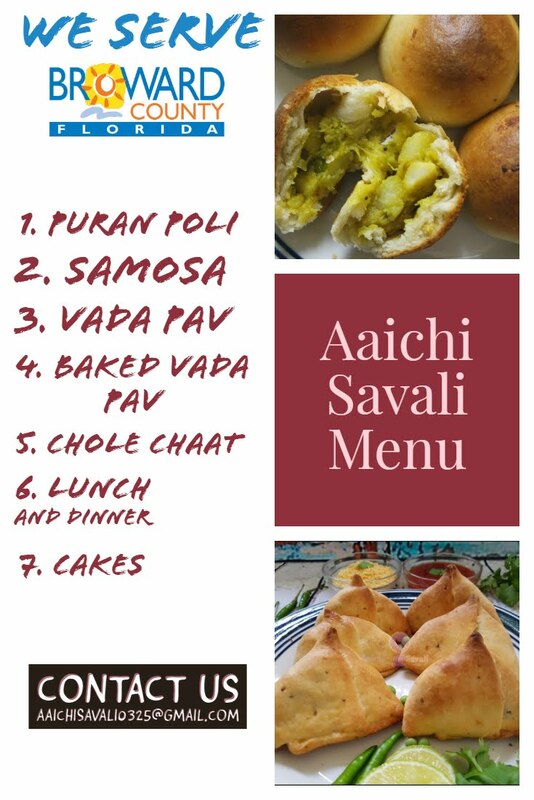 Here, the layers of Malai with delightful paneer balls, everyone's favorite Shahi Rasmalai is ready to serve. Enjoy!!! Per serving contains 191.44 calories, along with carbohydrates - 23.19 g, fats - 8.16 g, proteins - 7.45 g.
Healthy Bones and Teeth - Milk is a great source of calcium, it helps to build healthy bones and teeth and maintains bone mass. Not only do young children need it while their bones are growing, but adults need it to keep their bones strong and to prevent osteoporosis. Milk is also great for strong teeth, and it helps prevent tooth decay and cavities. Proteins - Milk contains protein, which serves as a source of energy, repairs muscle tissue. Reduce stress - Milk helps to de-stress at the end of the day. A glass of warm milk will help to relax tense muscles and soothe nerves. Milk has also been proven to reduce symptoms of PMS and boost energy. 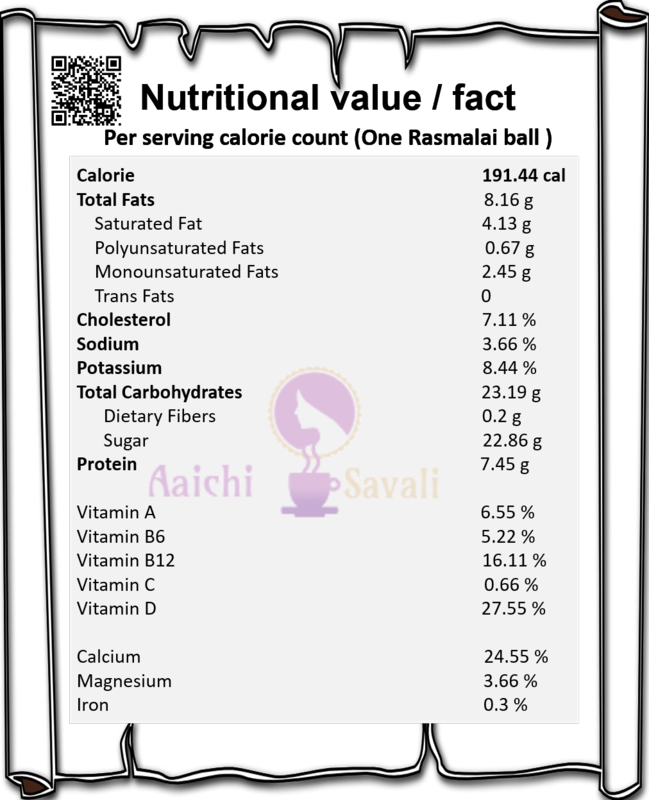 Heart - Milk has properties that lower high blood pressure and risk of strokes. It reduces the liver's production of cholesterol, and it can act as an antacid. Vitamins A and B in milk can help build good eyesight. Milk has also been show to help lower risk of certain cancers. It is good to eat shahi rabri as a dessert. Squeeze the sugar syrup from paneer balls, otherwise it will not absorb Rabdi. Always use heavy bottom pan while making Rabdi, as there are high chances of milk to burn. Add sugar more or less according to your taste. Rasmalai taste best when chilled overnight. Also the balls soak the milk and all flavored get intermixed well in 8-10 hours. So to serve the next day, make them a day in advance. Thank you so much Nikitha. Yes it is tasty and delicious.